When it comes to loving the home you’re in, sometimes it takes just a few minor adjustments to make the space really work for you. 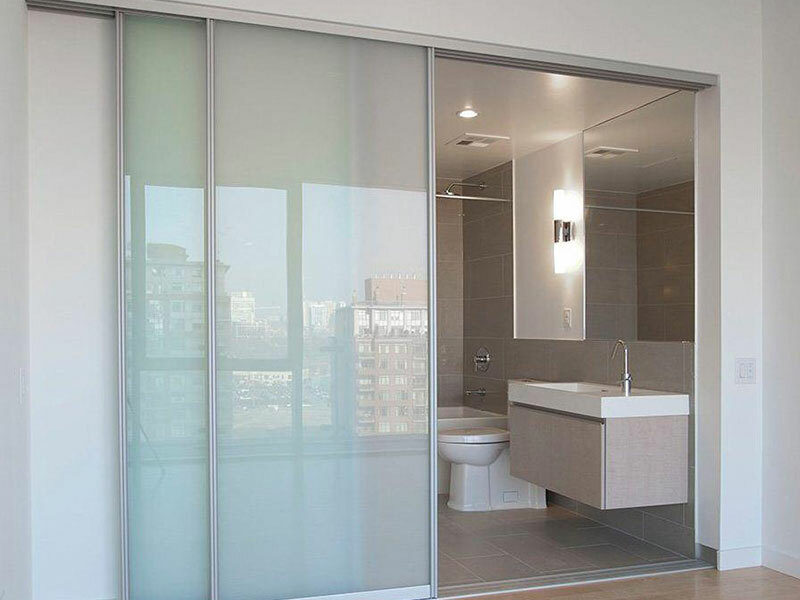 Custom sliding doors have been growing in popularity as they are functional, and offer a design and style quality that works in both residential and commercial spaces. Space Age Closets and Custom Cabinetry has been helping homeowners incorporate custom sliding doors into a variety of spaces, such as closets, offices, patios, solariums, and balconies, as well as using them to create accent walls and room separations. One of the main reasons that homeowners love custom sliding doors is that they are a great way to maximize space. Since they don’t open outward, you are able to use more of the space available on either side of the door. Additionally, if you choose a glass sliding door, not only will you benefit from the extra space, but you will also have more natural light coming into the room. Still not convinced that a sliding door could be right for you? Keep reading to discover more reasons why this option is worth considering. Better security. Doors with a traditional threshold can be easily opened with the use of a hinge. Most sliding glass doors are secured using a latch, making it harder for intruders to open. Better options. When you choose to install a custom door, you will have the opportunity to select what you want, as well as the style and design that will work for you. Better design. Sliding closet doors in the Toronto market add value and style to any type of home. They can easily transform a room into a more modern and updated space. Adding a sliding door with a custom design to any room in your home will instantly improve the aesthetic appeal by providing a more open and airy feel. A better view. If you have a beautifully landscaped garden or backyard space, adding a sliding custom glass door will allow you to easily enjoy looking at your peaceful surroundings. There really are endless possibilities for what sliding doors can do in your home. For example, you could replace your current kitchen pantry door using sliding doors instead or keep clutter out of sight in your garage by moving it behind sturdy sliding doors. Another popular way to use sliding doors is to divide space to make room for a home gym, a playroom, or an office. Where would you love to see custom designed sliding doors in your home? To make a good investment by adding sliding glass doors to your home, be sure to work with an experienced company that offers a quality product. Space Age Closets and Custom Cabinetry has been working with Toronto area clients for over 30 years. Our decades of experience allows us to offer excellent customer service and quality craftsmanship. Visit our showroom to learn more, or contact us to schedule a free in-home consultation.